Frank Schwindel got one hit in his first 15 at-bats with the Royals. The Kansas City Royals announced two roster moves before Thursday afternoon’s game against Seattle, recalling pitcher Jake Newberry from Triple-A Omaha and optioning first baseman/DH Frank Schwindel to the Storm Chasers. 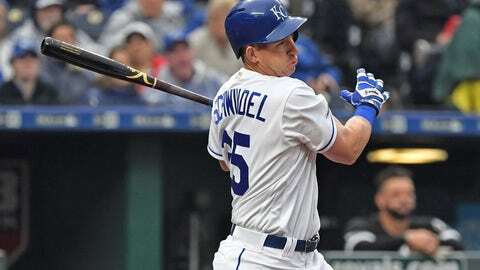 Schwindel made the Royals’ Opening Day roster but has struggled in his early opportunities. The 26-year-old rookie had one hit in his first 15 at-bats. Newberry, 24, was unscored upon in three innings with Omaha to start the season. The right-hander went 2-0 with a 4.73 ERA in 14 games as a first-time major leaguer in 2018.